It's a big state and we've got a lot to show you. Mosey on down and take a look! The "3 Hour" Houston City Tour is our signature three hour tour highlighting the best of both historic and modern Houston. Expect to be impressed by our city's finest architectural gems, the sites of famous movie locations, world-class shopping, a lively theatre and museum district, and some of the tastiest food you will ever eat in your life. Book with Texana Tours now to discover the best of what Houston has to offer you! The NASA Johnson Space Center is a crown jewel in in the royal Texas crown and so it's only fair to dedicate a tour to this incredibly exciting place. A trip to Space Center Houston will bring you up close and personal with a full scale space shuttle, the historic mission control, the International Space Station, and countless iconic exhibits and presentations featuring our nation's most revered astronauts. Regardless of who you are, a trip to the Space Center with Texana Tours will leave you feeling like a kid again! 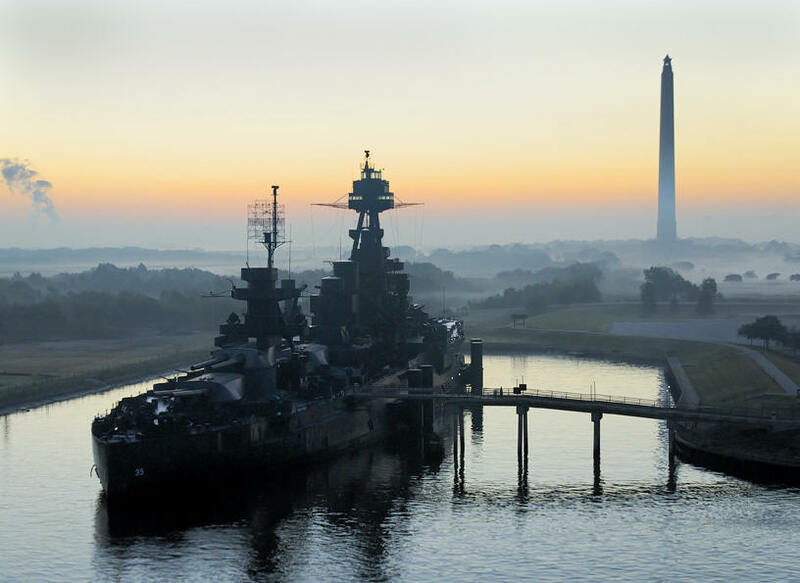 The Texas Battlegrounds Tour will bring you to the outskirts of Houston to experience history first-hand through the San Jacinto Battleground and Battleship Texas State Historic Sites. During this tour you will ride the Lynchburg Ferry, elevate to the top of the world's tallest obelisk, the San Jacinto Monument, and step aboard one of the world's oldest remaining battleships, The Battleship Texas Memorial Museum. If you have any interest in WWI, WWII, or the Texas battle for Independence, Texana Tours will bring these stories to life in such a vivid way, you will swear you were there, too! The Deep in the Heart of Texas tour will bring you to the charming small towns of Fayette County, showcasing how the traditions of the original German and Czech immigrants still influence our state's cultural identity today. With Texana Tours you will gaze at the alluring "Painted Churches of Texas" in Schulenburg, tour the impressive Texas Quilt Museum in La Grange, and also get time to wade through the state's best antique shops in Round Top. If ending the day with a link of sausage and a homemade kolache is the way to your heart, then the Deep in the Heart of Texas tour was made for you! The Galveston Tour will whisk you away to the historically haunting city of Galveston, a coastal town with a story so sensational it must be heard first hand from Texana Tours. This tour includes passage to Galveston via the Bolivar Ferry, sightseeing the town's grandest mansions, accounts of the deadliest natural disaster in U.S History, the Galveston Hurricane of 1900, and a seaside stroll along the old fashioned "Pleasure Pier". If you'd like to spend the day by the sea, by the sea, by the beautiful sea, book the Galveston Tour and you'll be smelling that sweet, salty sea air in no time! The Texas Oil Tour will expertly guide you through the rich and dramatic oil history of the state of Texas. The words "Texas" and "oil" are synonymous throughout the world and Texas would not be the great state it is today without the discovery of this "black gold", this "Texas tea". Texana Tours will take you to the original sites of some of the most famous oil wells in history, and Spindletop and it's Boomtown Museum in Beaumont tops our list. You may not strike oil on this tour, but with Texan Tour you'll feel like you've struck it rich! The Capital of Texas Tour features an in-depth visit to our state's most noble building, the Texas State Capitol, located in the heart of Austin. With this package, Texana Tours offers its most comprehensive overview of the great state of Texas, from it's controversial history, to it's strong political views and proud people, you will learn more about the Lone Star State than you ever imagined. Book your Capital of Texas Tour today and by tomorrow you'll know so much about Texas, we'll have you saying "y'all"! With the Birthplace of Texas Tour, you'll step back in time (way back in time) with Texana Tours to March 1, 1836 and witness firsthand where Texas gained it's independence. During your time traveling trip you will visit Independence Hall, the Star of the Republic Museum, and Barrington Living History Farm, where you will be encouraged to participate in the work of the farm and become a part of the exhibit yourself! So grab your bonnet and farm boots and book The Birthplace of Texas Tour now! The Sam Houston Tour will bring you just north of Houston to Huntsville, the very stomping grounds of one of Texas' most renowned and respected forefathers, Sam Houston. During this trip Texana Tours will narrate Sam Houston's fascinating life story as you step into his actual residence, visit his gravesite, and get the chance to be photographed with a giant statue (67 feet tall on a 10 foot base) of "The Raven" himself. If you've ever wondered what it might be like to walk in the shoes of one of Texas' greatest heroes, the Sam Houston Tour is just about as close as you will get!